Hello, My name is Seth and I am from Kenya but I work in Cambodia as a community organizer. 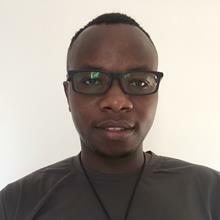 I have taught in Kenya as a Swahili teacher both in High school and as a personal tutor to students and foreigners interested in learning Swahili and English. I just completed a TOEFL test with an overall score of 94 (December 2018). I highly believe that anything, including language, can be learned, and we, as human beings use language in various ways, including for communication and exchange of cultures and Ideas. Learning a new language can be interesting too, especially to those who would want to learn it from the native professional speakers like me. I would love to see you learn and speak Swahili even better than me :) Lastly, I embrace a leaner-centered approach in teaching because I am a trained and qualified teacher, and I am sure you will love it. Thank you!